I just can't get enough of studs and spikes! I am absolutely obsessed with any fashion item that has either other. However, these clothing pieces can get pricey just because the designer threw a few studs on it. 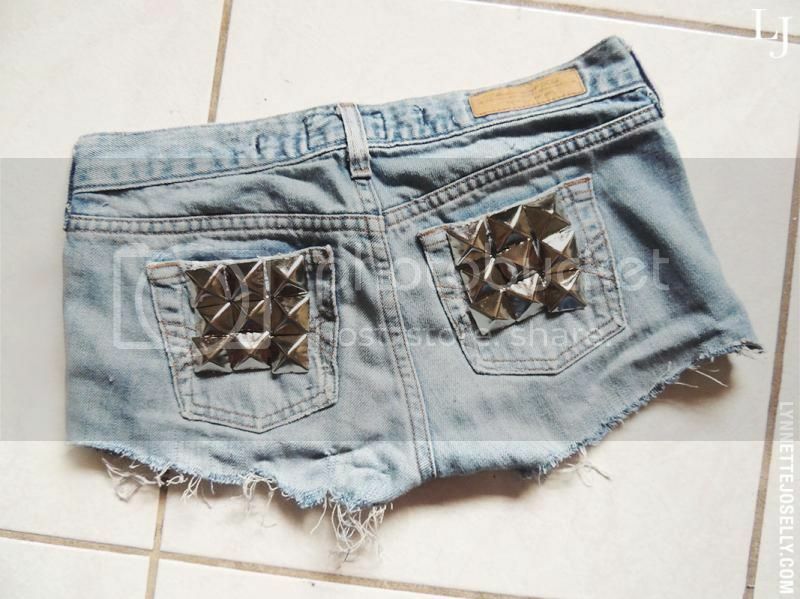 So why not save a few bucks and reinvent your old jeans to create your own studded design!? 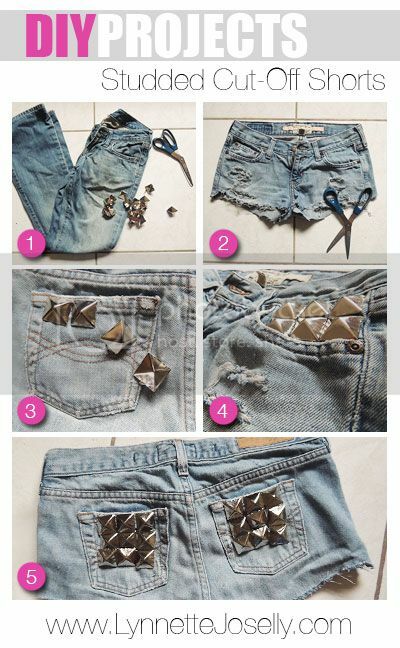 Check out the step by step DIY (Do It Yourself) tutorial below to create studded cut-off shorts. By the way, it should take less than 60 minutes to complete the shorts. Step 1: You are going to need an old pair of jeans, scissors, tweezers, pliers and studs. Step 2: Cut off the jeans to your desired appropriate length for shorts. Step 3 & 4: Find where you want to place your studs and poke holes with the prongs. If it's a thick fabric you might need to use an exacto knife to help poke the holes. After inserting your studs use the pliers to bend the prongs down and secure them in place. 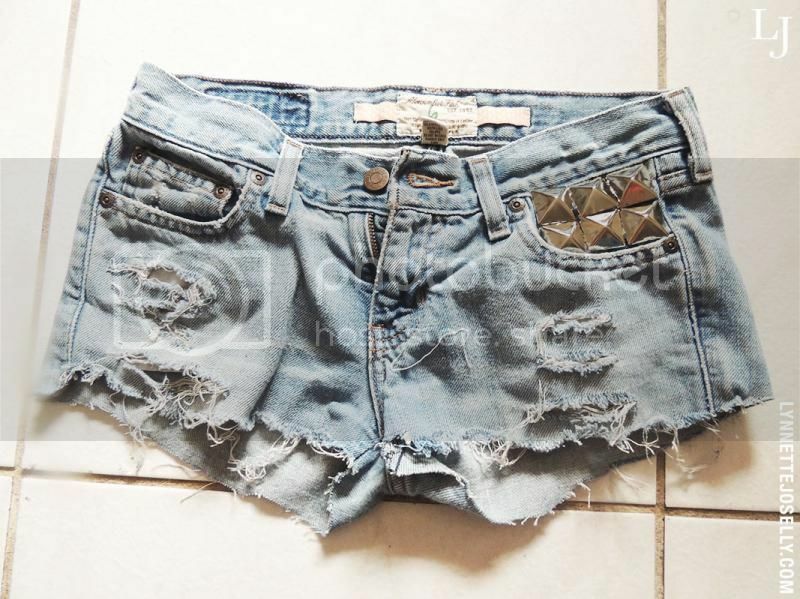 Step 5: You can use tweezers to fray the ends of your jean shorts for the distressed effect. After that, you are all done! Don't they look fab?! I would love to see what you guys end up studding!